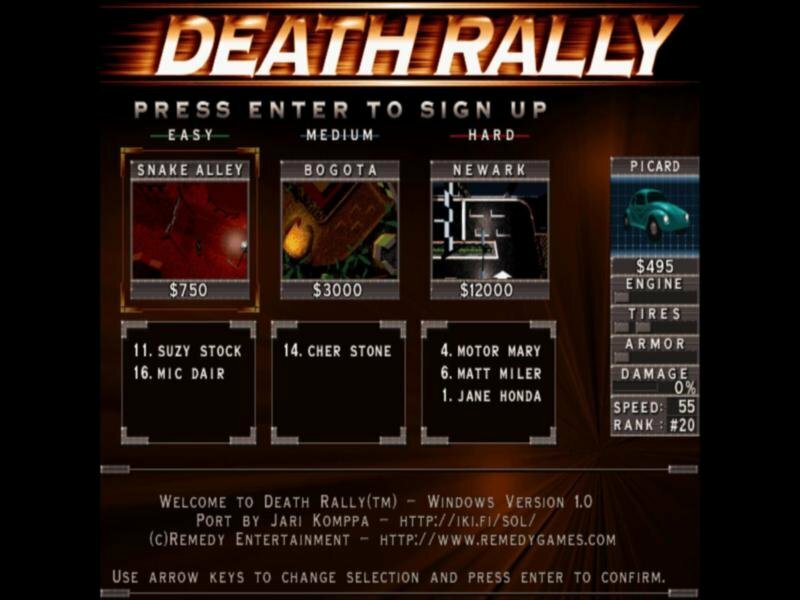 Despite its ominous-sounding name, the top-down viewed Death Rally comes of as fairly tame – for the first few minutes, at least. 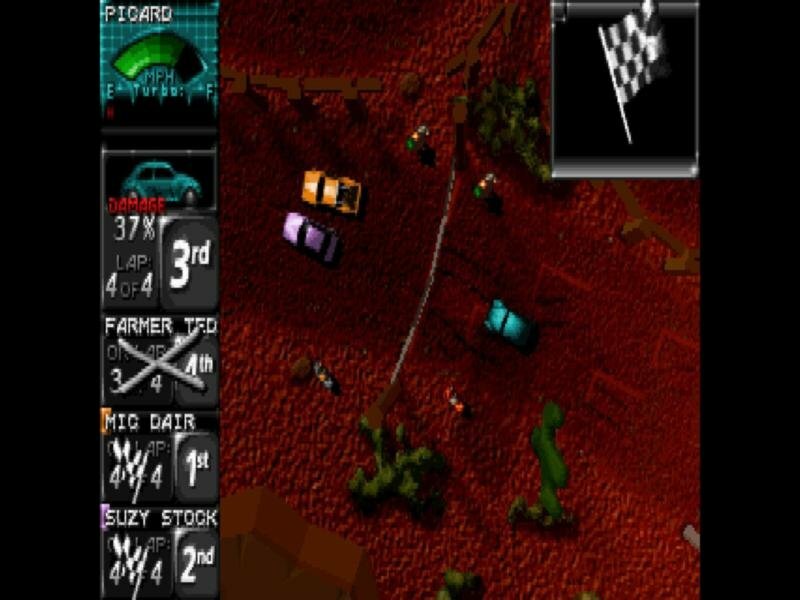 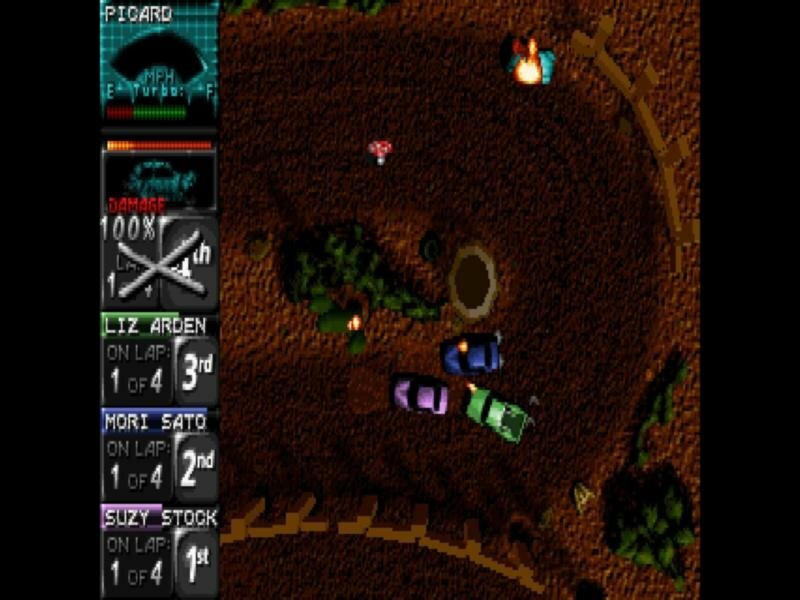 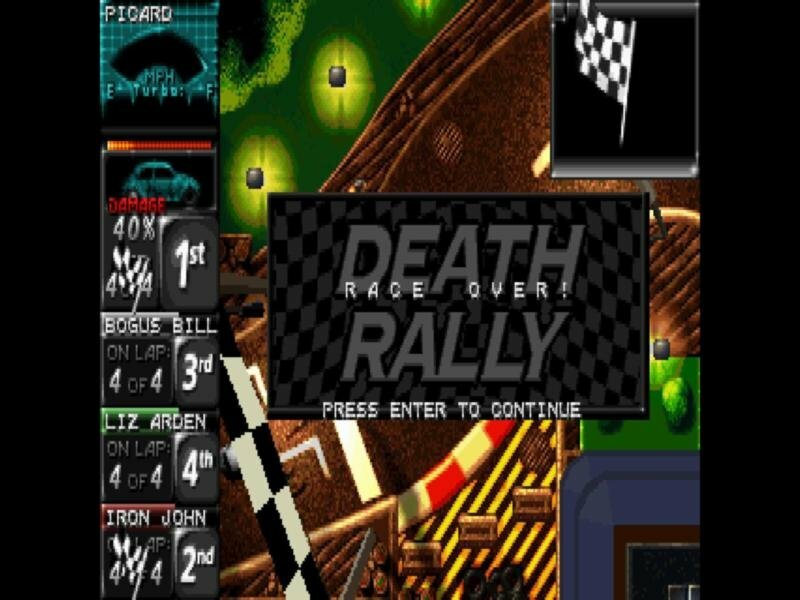 Starting with a crap stock car and some spare cash, you must compete in one of three races (picked from 19 tracks) with increasingly difficult opponents. 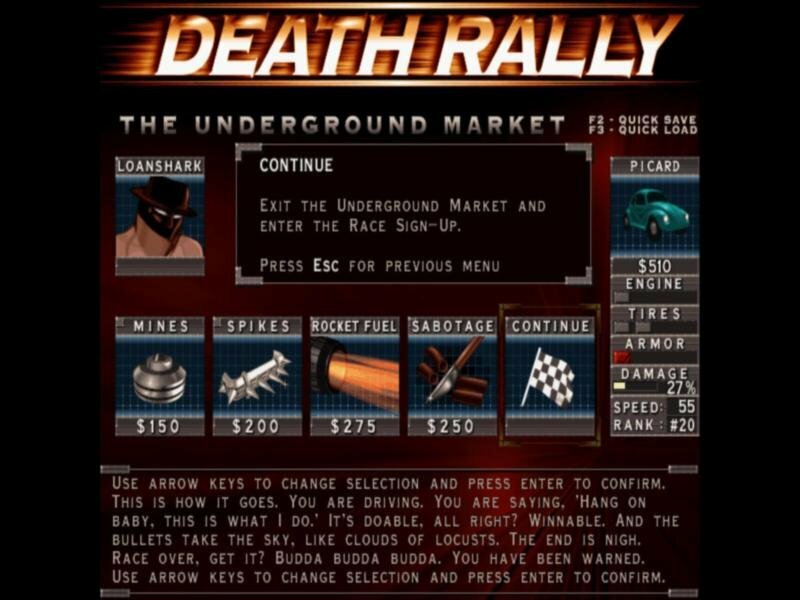 You can eventually buy new cars, upgrade your old ones, or equip your car with death-dealing weapons like land mines or boost your speed with rocket fuel. 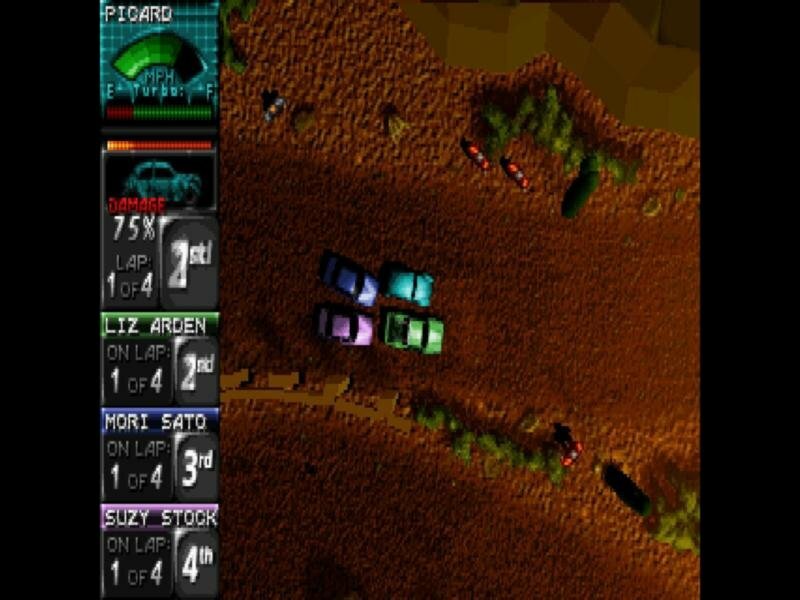 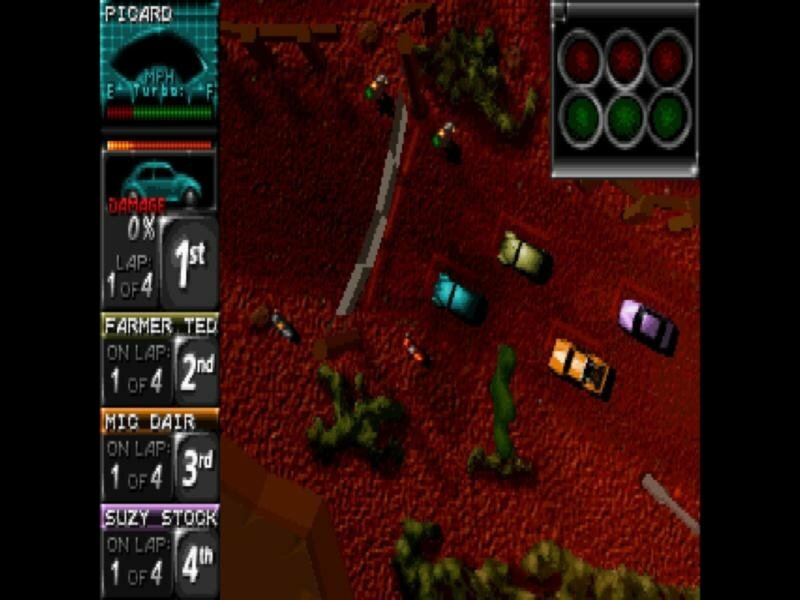 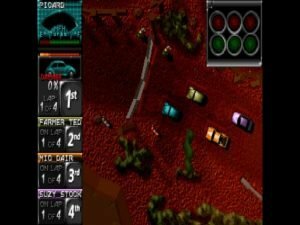 In true Carmageddon style, you can also win races by destroying the opposition. 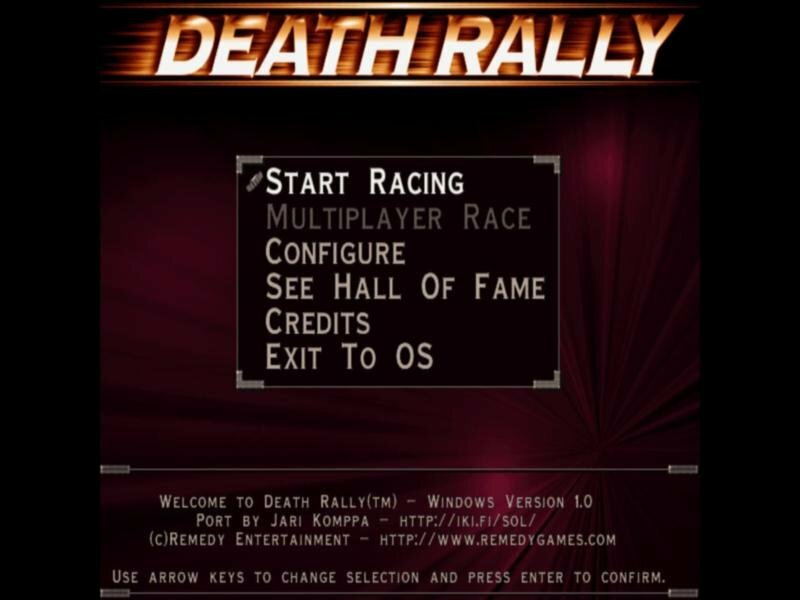 Death Rally has all of the elements of a fun little racing game. 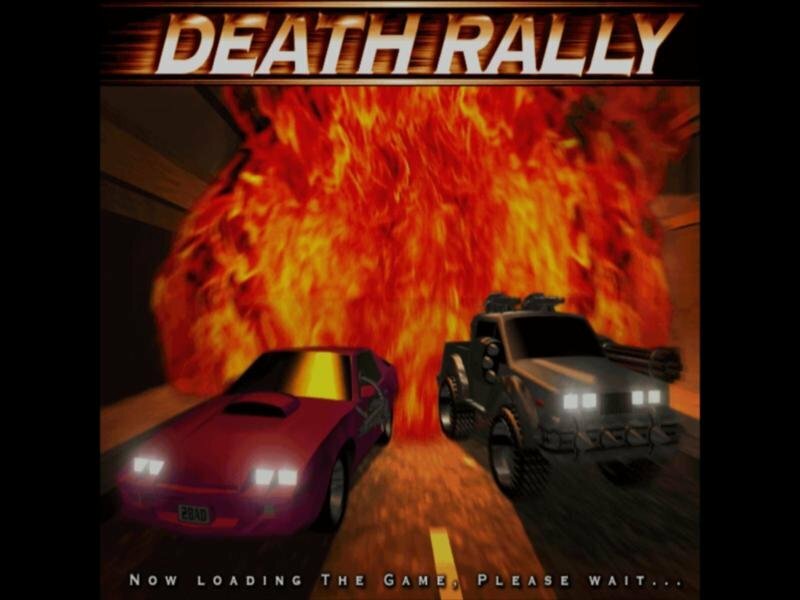 It includes high speed action, super framerates, passable overhead rendered graphics and of course its twisted sense of humor. 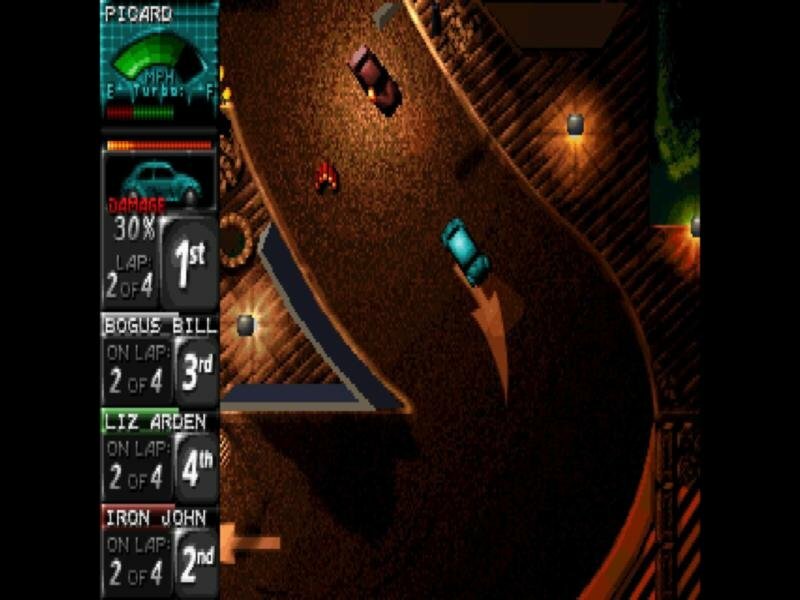 It’s also more than a regular racing game – you can do favors for various underground crooks. 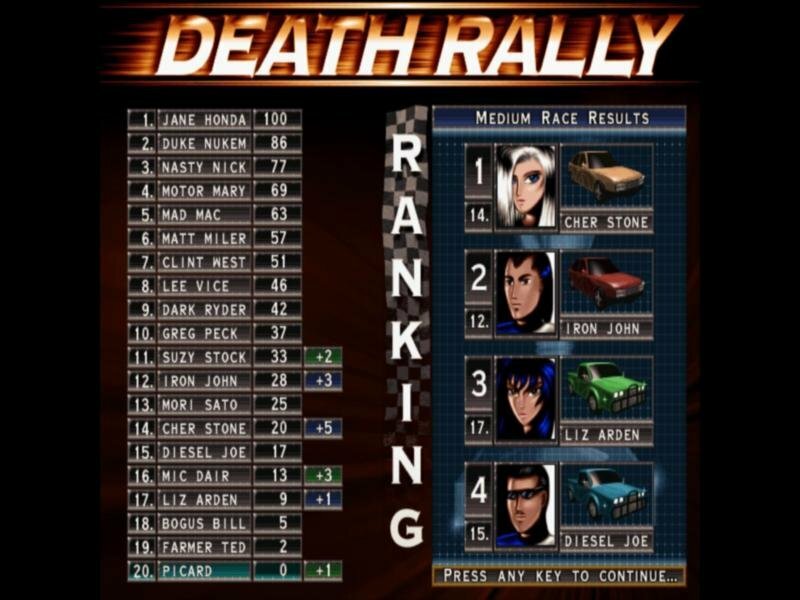 They can ask you to pick up some narcotics along the way and finish first before everyone would know about it, or they can ask you to disable a specific driver. 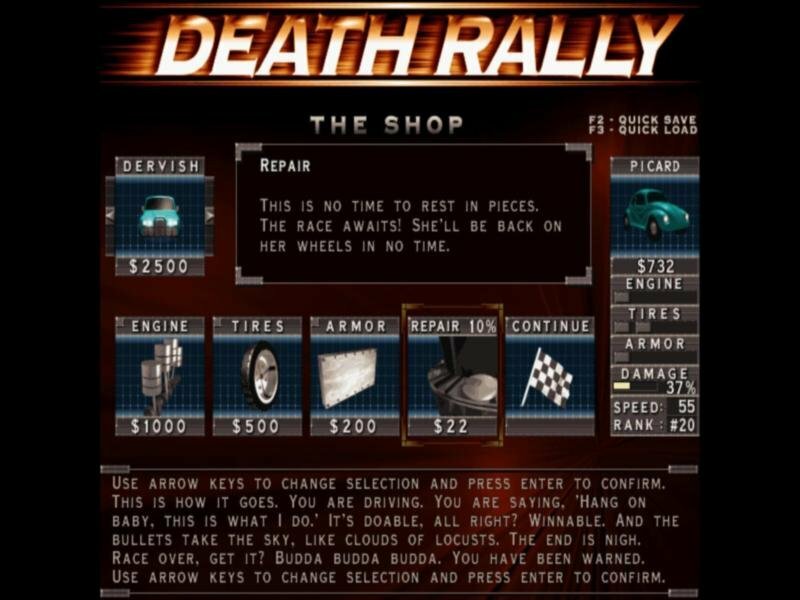 If you’re slow and cash and desperately need an upgrade to win, you can burrow money – but don’t forget to pay the guy back, or you’ll be sorry. 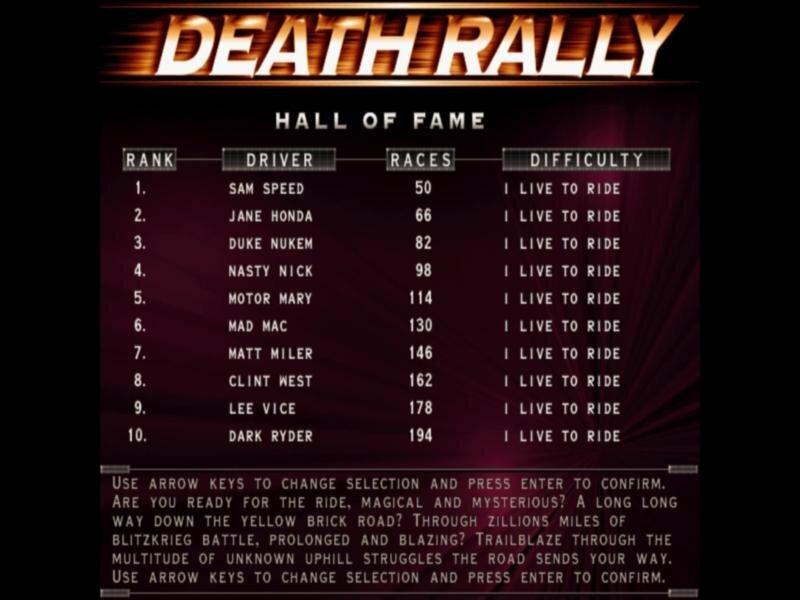 A bunch of these quirks and dark details make an already compelling game even better. 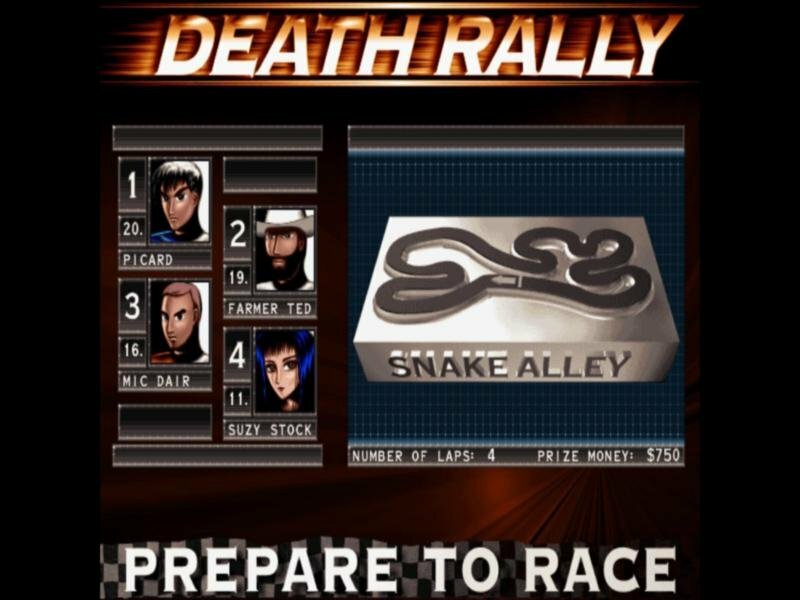 So give it a try and get in touch with your darker side.